We believe in the uniqueness of each individual and the magic of teams and organisations. Each individual has a unique pattern of stripes, just as the Zebra. Each team has its own wisdom and character. We choose for the Zebra as metaphor as it represents who we are and what we believe in. A Zebra is unique. A herd animal that does not allow itself to be domesticated. It needs the group (its herd) but it determines its own path. A zebra means a safe path in a risk-filled environment. Red is the colour of love, passion and fire. Red stands for growth and development; the ‘soft’ side. Each Zebra knows that it is inextricably linked with the larger whole; interdependency is fundamental in order to develop as an individual. To bring your intention to life, to allow your unique talent to fully blossom. Sebastian (1971) is the co-founder of RedZebra Group and a strategic Partner of Oxford Leadership. Connecting Purpose, People and Performance is the mission of Sebastian Wesselius. His background in hospitality, sales, business development, performance improvement and leadership development has provided him with an unique combination of insights and skill set to align these three P’s. Working with Sebastian brings you focus, joy and elicits absolute personal responsibility. Sebastian works in both Dutch and English. Sebastian graduated from Nijenrode University in The Netherlands with a Master’s degree in Business Administration. He is a certified Transactional Analysis practitioner. He is certified in a number of psychometric instruments, including Barrett Culture Transformation, Covey institute, Spiral Dynamics, Circle Dialogue and Team Dynamics. It is always a joy to work with Sebastian, a bridge-builder pur sang. Sebastian is master at building bridges between the ‘hard stuff’ and the ‘heart stuff’ for organizations. His unique background, experience and character have made Sebastian the best connector of purpose, people and performance that I have worked with. As Senior Consultant and Lead Trainer at Semco Style Institute, he designs and implements instruments, teaching methods and processes for the development of autonomous teams and agile organisations. He supports the strategy determination with the implementation of Semco Style at (international) companies. Besides he trains consultants in the ‘Semco Style’ organization development. This “style”, designed by Ricardo Semler (CEO SEMCO), involves more than just self-management and builds its principles on mutual trust, reduction of control, self-management, extreme stakeholder alignment and creative innovation. As Executive and Boardroom (Team) Coach at Dutch and international companies, Azwin stimulates the following aspects of leadership: ‘From Smart to Wise’, from ‘I to We’ and ‘System Interventions’ or Leading Self, Leading (Team-of-) Teams and Leading (Human) Systems. As a Facilitator, his help is often invoked when the cooperation threatens to get stuck or is stuck within managing boards and management teams. After more than 20 years of experience in coaching and training emotional intelligence, Azwin helps the ‘undercurrent’ in teams to develop positively like no other. His ability to guarantee psychological safety makes it possible for teams to learn not only from the ‘intention’ (purpose), but also to achieve extraordinary results across the organization silos. At board level and management level, this ability has translated into discussing and clarifying the strategic diversity and manoeuvrability of the team. Psychological safety also increases strategic alignment, giving strategy implementation more support. 1990 – 1996: Entrepreneur (Direct Media Int’l). Writer: Emotionele Intelligentie 50 tips (Samsom 2000) and Het Team in Jezelf (Scriptum 2003). Semco Style Senior Consultant and Lead Trainer. De Baak, Krauthammer Int’l, Politie Academie, Semco Style Institute. Zorggroep Almere, Treant Zorggroep, Nederlandse Zorgautoriteit (NZa), Inspectie Gezondheidszorg. Vrije School Enschede, Vrije Universiteit Amsterdam, Hogeschool Rotterdam. Gemeente Amsterdam, Provincie Utrecht, IND, Inspectie SZW, OM, Nationale Politie. DNB, ABNAMRO, ING, Nationale Nederlanden, MN. Refresco, Lutece, NXP, Philips, Fokker, Alliander. 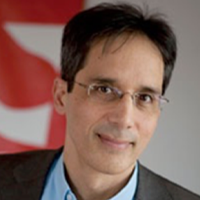 Hamid is a partner of RedZebra Group and strategic partner of Oxford Leadership. ‘Bringing out the best in people’ is his burning passion. The main question for leaders is: who’d follow you without your business title? Hamid works all over the world in Dutch & English. Some of his articles about Leadership 3.0 paint a picture of how Hamid wants to contribute to a better world. His facilitation is rooted in a deep knowledge of Transactional Analysis & the Self Confrontation Methode (SCM) of prof. Hermans (Radboud University of Nijmegen). Hamid previously worked as a Partner with Krauthammer International. One of his responsibilities was quality control of the training courses within the Krauthammer University in Leysin (Switzerland). Here he performed training programs and developed an international survey ‘Good 2 Great’ for a master class of excellent trainers. Specialism: Leadership Development (New Leadership); Best practice behavior. Certified for Cultural Transformation Tools (Barrett), Emotional Intelligence, Enneagram, Transactional Analysis, Self Confrontation method. Leadership/management training and coaching of professionals (consultants, negotiators, financial professionals). Dear Hamid, I want to compliment you on an excellent 3 days session you ran for our Naspers Group Leaders from 23 – 25 May 2017 in Sao Paulo, Brazil. The feedback received was outstanding – not usually a common trend from leaders who are at such a Senior Leadership Position. You respectful dealt with very sensitive issues and ensured discipline and “safety” at all times. You were fearless when it came to challenging our Leaders to actually step up and take their Leadership roles. The power to connect, inspire and create meaningful relationships is the gift Peter Paul has to offer. A real peacemaker connecting people to people and people to new inspiring insights. Understands the dynamics of the board, being responsible for Marketing & Sales in his previous career as member of the management team. His talent to develop business and demystify the magic of selling is part of his DNA. A non conformist who challenges the status quo in a world which is Vulnerable, Uncertain, Complex and Ambiguous. Peter Paul is able to take a holistic view and how to ignite the spirit in people. He is a specialist in team & organization dynamics and executive coaching. “For a little girl, the pain was simply unbearable and my inner child chose to disconnect heart and mind as a survival strategy what I later learned is called a script decision. I became a very driven and rational person but had difficulty with emotions, with feeling vulnerable and unsure. Only recently during a leadership retreat of the RedZebra group and with expert guidance of Peter Paul this insight came to surface. Having chosen the path of self-knowledge and self-development, the ‘RedZebra insight’ did not come as a surprise but as gentle and compassionate call to the direction I want to follow in life of a truly fulfilled individual with purpose and impact, self-aware of its potential, emotions, capacities and limitations or developments points. Frank is a partner of the RedZebra Group. 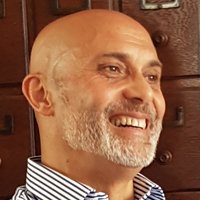 He is an organizational psychologist and executive coach specialized in supporting leaders and teams in highly professional and innovative organizations in their quest to become true high performing in an even more complex and rapidly changing world. Based in the Netherlands, Frank works in English and Dutch and has a good understanding of French, German and Italian. Bringing broad international experience in leadership development, business innovation and (cultural) transformation to his clients, Frank has over twenty six years of experience in Human Resources with Royal Dutch Shell. He held assignments in Africa (Gabon), Asia (Malaysia) and Europe (Netherlands, Belgium, UK), covering all businesses and functions. His last assignment in Shell was VP Human Resources for Innovation, Research & Development. He believes that great leadership is key for a better, more conscious and sustainable world. He quickly builds a trusting, safe environment where individuals/teams can experiment outside their comfort zone. This consistently results in significant personal growth and high business achievements. He is co-author of the book Leading Innovation (written in Dutch). Frank graduated from the University of Amsterdam with a Master’s degree in Work and Organizational Psychology and also holds a BSc in Political Science. He is certified as an Executive and Systems/Team coach and is accredited as a Professional Certified Coach (PCC) by the International Coach Federation. He is certified in a number of psychometric instruments, including Barrett Culture Transformation, Leadership Circle, Hogan, Theory U Transformation, Blanchard Team Training and is an NLP Master Practitioner. Fionnuala is a strategic partner of both Oxford Leadership and S-Ray diagnostics and partner of the Red Zebra Group. She has three decades of experience as Senior Leader, Coach and Catalyst building high performance teams and cultures of innovation within organisations. She has extensive experience in the design, development & delivery of change interventions that have impact at the individual, team and organisational level. Irish, born in Ghana a proud mum, living in the Netherlands she works in English, Dutch, and rusty German. 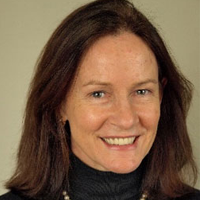 Fionnuala has over three decades of experience in roles such as Director Innovation, CEO, Executive Coach and Catalyst in the business, research and NGO sectors. She is passionate about supporting leaders to create environments in which they, their teams and organizations can flourish. Fionnuala holds a PhD from Trinity College Dublin and a BSc First Class Honours. She is certified in a number of change instruments including Barrett Culture Transformation and Theory U. 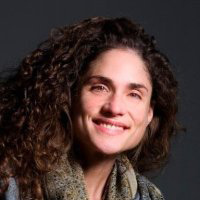 She is a certified Systemic Coach and Catalyst, a Mindfulness and Yoga practitioner. 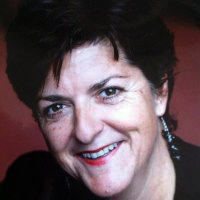 Anne is a Partner of RedZebra Group and a Strategic Partner of Oxford Leadership. Her strong suit is making complexity tangible. Strategy, focus and alignment on an inter- and intra-personal level. Based in the Netherlands, works in Dutch, German and English. Strategic advisor, trainer and coach with extensive experience in strategic change management in the profit and nonprofit sector. Analytically strong and capable of making coherence comprehensible in word and image. Through an in-depth and integrated approach, the intended development gains its own dynamics that is needed to have the desired effect. The 15 years of experience as an organizational advisor and trainer is preferably used and applied in the case of behavioral individual and/or collective development. In recent years, she has been actively involved in the government domain, care and cure designing and implementing complex, integral, strategic-level change strategies with attention to the individual concerned. Anne has been a teacher and supervisor at de Haagsche Hogeschool and the Ned. Academy for Riskmanagement. She has facilitated sessions for governments and organizations concerning culture and behavioral change. Priority in these settings is creating safety en giving trust. Anne had studied history, philosophy and information sciences. She is a Jungian therapist, certified transactional analyst and coach. An interesting combination that guarantees challenging encounters based on respect and sincere interest in others. 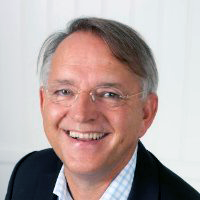 Maarten Putz is a partner of the RedZebra Group. 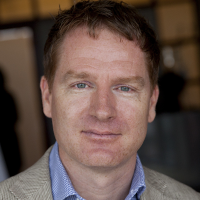 Maarten combines a strong strategic view with hands-on experience acquired in a global context. He looks beyond what is at the horizon, and is great at mobilizing people to make things happen. 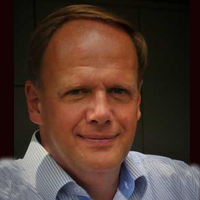 Maarten has been in HR positions over 25 years and worked a lot in multi-national teams. Leadership development, executive on-boarding, team- & organization development and executive career switch are area’s of expertise. In his work Maarten helps teams and individuals to connect with their motives, drives, beliefs & patterns and vision, strategies and goals. Transactional Analysis is one of the sources he use quite often. He is an experienced team facilitator, executive coach and organization consultant. His personal board experience makes him a great sparring partner for executive teams. 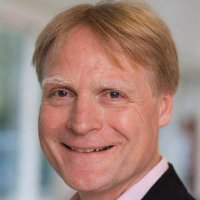 Maarten holds a master degrees in Business Economics and Management Consultancy and was educated in coaching, counseling and organizational development by the OCM ( UK, Ashridge Business School (UK) and the TA-Academy (NL). He is a licensed practitioner of the Jungian Type Index (MBTI), TMA and a member of NOBCO, EATA and NVTA. Samsung, Rabobank, American Express, Booking.com, Care Nederland, Cycleon, The Hague Center for Strategic Studies, United Coffee, Crucell (Johnson & Johnson), Conair (Babybliss), Unieboek|Spectrum, PON Holding, De Baak Management Centre., Bruynzeel , TotaalBed. “Samsung is a fast growing company, with its own specific culture and needs a leadership style that supports the achievement of Vision 2020. Maarten Putz has proven to be a strong partner during coaching assignments with some of our business leaders. “During a difficult moment in time I was challenged big time by Maarten. Thanks, it contributed to why I am where I am and be who I want to be’. Based in The Netherlands, Saskia works in English and Dutch and has an understanding of French and German. Saskia has held a CEO position of a Dutch international cultural centre. Before that she worked in the retail industry where she has held management functions in product management, change management and strategy development. Saskia is able to bring about group wisdom in teams and thus create a Shared Pool of Meaning that inspires people and give them the courage in making their next step in their development. Saskia has a bachelor degree in French literature at Leiden University. She is certified Coach and Facilitator at the MMS Worldwide Institute (ACC) and certified Systemic Coach ( ORSC ) at CRR Global. Saskia is certified and practioner in Reiki. Royal Ahold, Royal Bank of Schotland, Havenbedrijf Rotterdam, Woningbouw coöperatie Staedion, Gemeente Utrecht, Joods Welzijnswerk, Codarts Hogeschool voor de Kunsten, Holland Dance Festival. “You teached me how to be myself, to pick up my leadership and integrate it ” one of her CFO’s told her. Dunya (1994) is a consultant at the RedZebra Group and also our newest addition. This young and ambitious millennial, driven by her own purpose to inspire people, is responsible for the Millennial Journey. 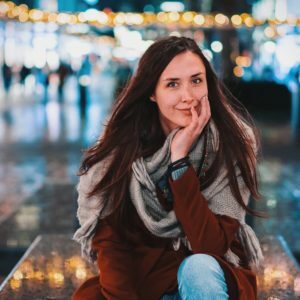 After experiencing both large companies and smaller start-ups, traveling through Southeast Asia, living in California and graduating as a Master in Business Administration at the age of 21, she decided she wanted to contribute to the world by tackling the current problems concerning millennials by addressing and helping to develop ‘handles’ for this new generation. Having written a Bachelor and Master thesis on new leadership and its influence on employee performance, she is excited to help millennials, businesses and educational institutions in developing these new leadership skills, both personal and business oriented. Moreover, she had dedicated herself to creating a spark in the millennial generation and the groups that work with millennials by organizing and partly facilitating the Millennial Journey. Surrounded by a team of dedicated and experienced facilitators, they all work towards a common goal: to guide the new generation to the understanding, discovering and living of their true personal ‘purpose’. Based in the Netherlands, Dunya works in both Dutch and English. 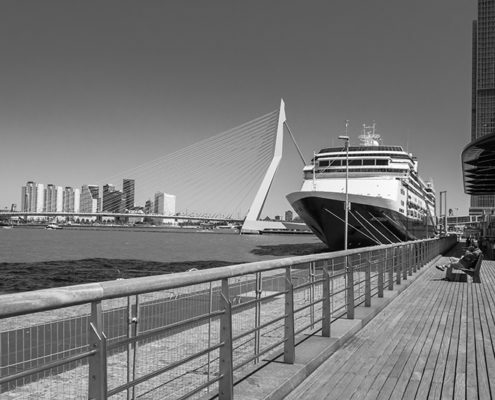 Dunya was a Project Leader in KPN’s Finance transformation program: KPN NextGen Finance. Here she worked on a transformation of the corporate culture within the Finance department and was partly responsible for communication, PMO and events within this program. In addition, she organized music festivals for Erasmus University, culture and networking events for students through ESN and SEFA and an event for charity during the Rotterdam Marathon. With her own experience, research and background she forms a bridge between millennials and the partners of RedZebra Group. Through sincere interest, seeing the beautiful in each individual, focused research and a huge will to contribute to the world, she can formulate a substantiated ‘urgency’ of the problem in an entire generation that is faced with stress complaints, perfectionism and ultimately burnouts. Zebras often have a leading role in change processes. As a consultant, coach or trainer. Hamid is the worldwide Lead trainer in the Naspers Emerging Leaders Program.